Learn how to add predictive content to Composer-created messages. 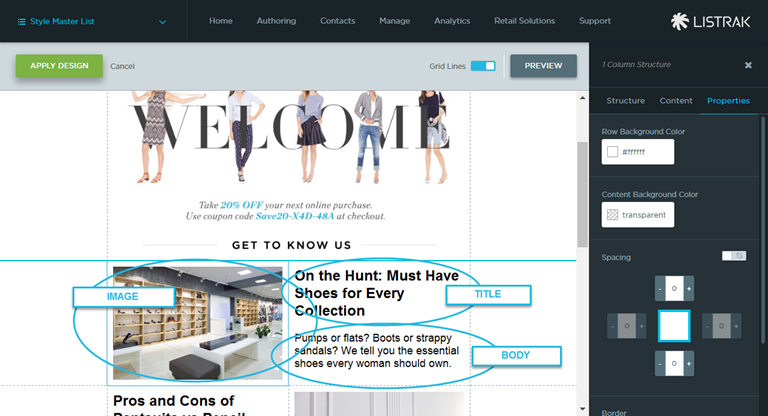 You've just built your Predictive Content Blocks by following the steps in Getting Started with Predictive Content and you're ready to add them to a Composer-built email. 1. Copy and paste the code from the final stage of content block setup into a notepad or text editing document. 2. Click Get Code to the left of an existing content block. Copy and paste in a notepad or Word document. 3. Navigate from the home menu to Authoring. 4. Go to Saved Messages. 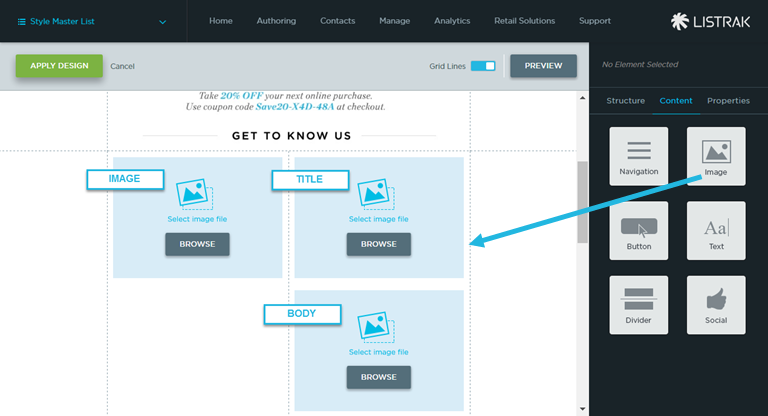 Content personalization can be easily added by using three images in the Composer message. 6. To add them, drag a two-column structure onto your canvas. 7. Add three image components onto your template. Typically, you'll stack the title on top of the body, as shown below. 8. Click on the first image and paste the image URL into the image source. 9. Paste the link URL into the link field. 10. Repeat for title and body images.